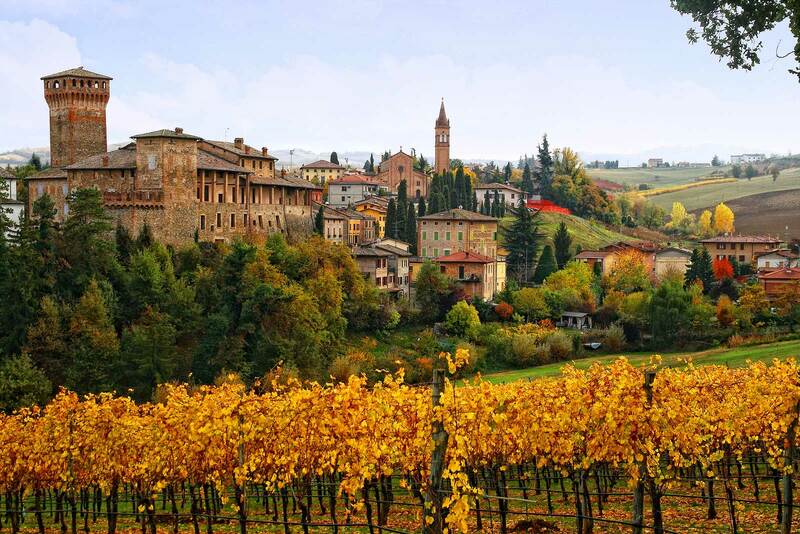 If there is a single Italian wine that mirrors what its like to visit Italy for the first time, it would be Lambrusco. Not Brunello di Montalcino, not Barolo, not even Prosecco. 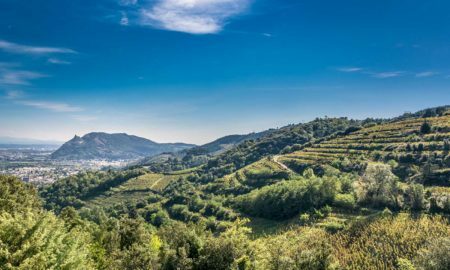 It’s Lambrusco that captures everything about the Italian character: it’s colorful, lively, and it dares you to take anything seriously ever again. But perhaps what makes Lambrusco so special is its versatility at the table. It is literally unbreakable. I’m tempted to buy a case, and pick 12 of the most outlandish recipes from around the world, just to see if there is anything Lambrusco doesn’t work with. 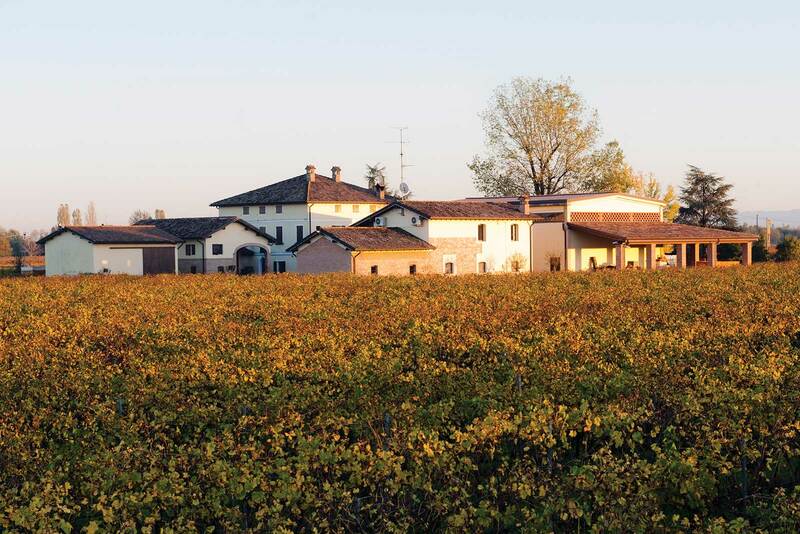 The fact that this varied wine comes from Emilia-Romagna makes perfect sense. Leave it to the Emilians to create the most food-centric wine in Italy, perhaps the world, and let us have it for dirt cheap. 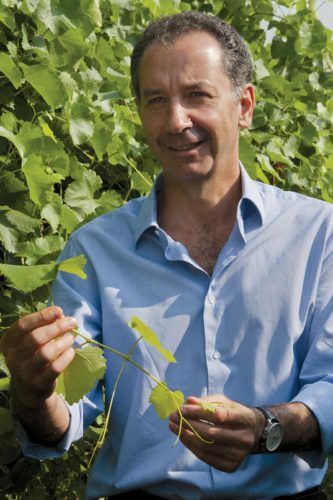 I recently met winemaker Alberto Medici of the Lambrusco winemaking house Medici Ermete, and the interview was exactly like Lambrusco. He was personable, engaging, but not too serious about the topic at hand. It was the kind of conversation that leaves a smile on your face. So let’s introduce you to your first taste of Lambrusco. 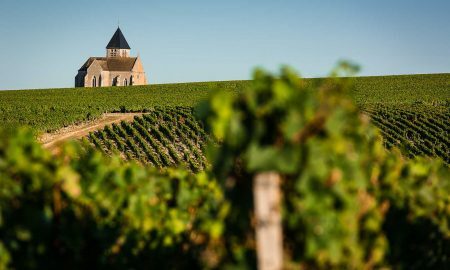 (Note: this article focuses on wines made with the numerous varieties of Lambrusco grape, which as a newcomer to the wine, is the most important aspect). You care about food-wine pairings – Lambrusco is a red wine with a delicate degree of sparkling the Italians call frizzante. 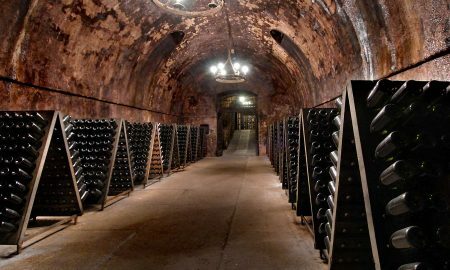 Sometimes its as bubbly as Champagne, in which case they call it spumante. Either way, it likes to play on the palate. 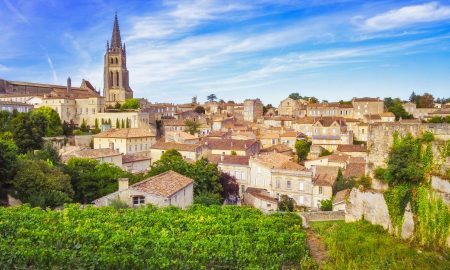 You are looking for something different – Can you name another red sparkling wine, let alone one made from an indigenous grape variety that only thrives in one place, let alone one that is widely available? Didn’t think so. You are cheap – Nothing wrong with that. Own it. 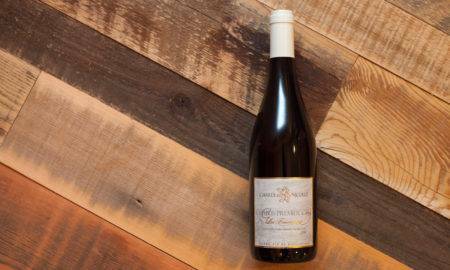 A bottle of Lambrusco rarely costs more than $15. Lambrusco di Sobrara DOC – The lightest and most fragrant of Lambrusco wines. Lambrusco Grasparossa di Castelvetro DOC – The darkest and richest Lambrusco wines, with more tannin than the others. 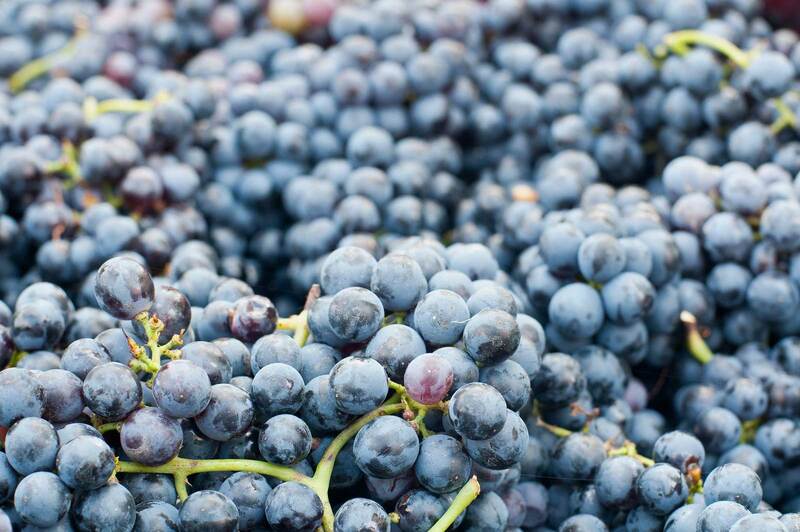 Lambrusco Reggiano DOC – The largest appellation and the most likely to be found on your wine shop’s shelf. Lambrusco Salamino di Santa Croce DOC – More commonly making dolce (sweet) or semi-secco (semi-dry) versions of Lambrusco. 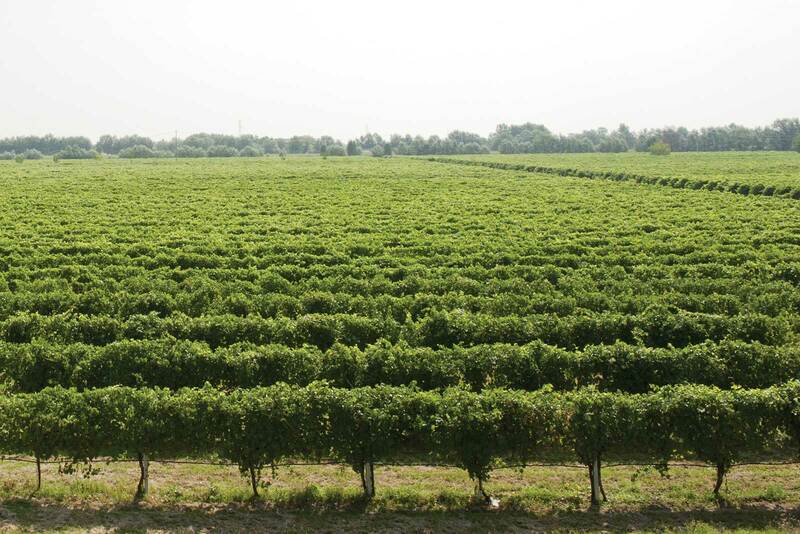 Lambrusco Mantovano DOC – Further north near the city of Mantua (Mantova) in Lombardy, this appellation is the only Lambrusco appellation outside of Emilia-Romagna. Almost all Lambrusco experiences a secondary fermentation in a sealed tank, known as Chermat Method. According to Alberto, it used to be done in bottle, like they do in Champagne, but without disgorging the yeast. Ultimately, the ease and cost of making Lambrusco in a tank — plus the general distaste consumers have for yeast sediment floating in their wine — phased out the Champagne method in Lambrusco, but its beginning to make a comeback. 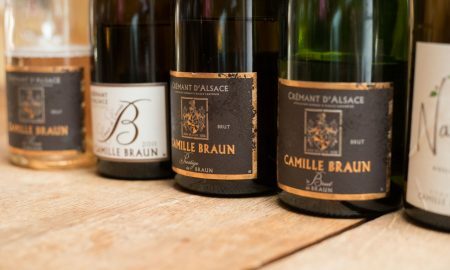 These wines are usually labeled spumante and have a higher degree of sparkling. Oh, and their disgorging the yeast plug now. One burning question I had for Alberto was why Lambrusco is never a still wine, and how it came to be mostly frizzante. Which is precisely why it is among the world’s greatest food wines. The acidity helps to clear the palate and the frizzante excites the senses for another bite. It is also low in alcohol, often hovering around 11%. 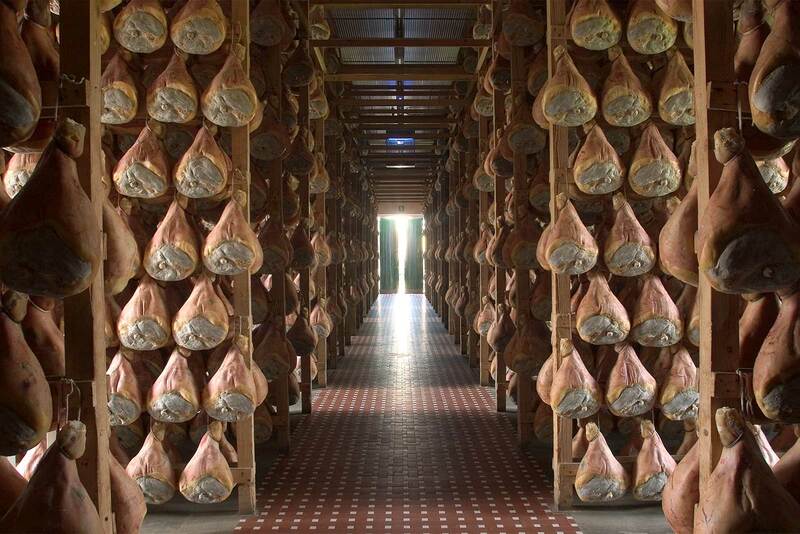 The cuisine of Emilia-Romagna is heavy and rich: after all, it is the birthplace of Parmigiano-Reggiano cheese, Prosciutto di Parma, Aceto Balsamico di Modena, tortellini and pasta bolognese. It is not exactly diet-friendly fare. Yet the wine for this cuisine is the antithesis: light, fun and fizzy. To the Italians — who have a national obsession with proper digestion — this isn’t a paradox. It’s just the right wine for the moment. Lambrusco was a victim of its own commercial success in the 1980s. 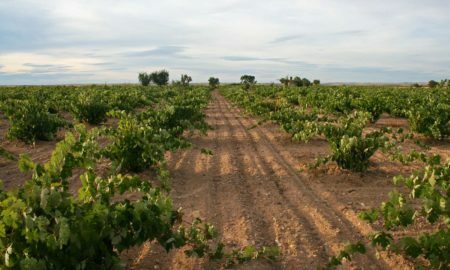 One brand, Riunite, became the wine of the moment in 1984, selling 11 million cases in America and becoming the nation’s most popular imported wine. 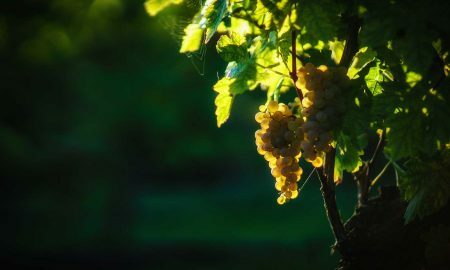 To satisfy the demand, the high-yielding Lambrusco vines were allowed to produce huge volumes of juice, and as we’ve seen worldwide, whenever yields are high, the wine’s quality suffers. Lambrusco was being compared more to soda than wine. In fact, in 1986, Riunite Peach and Riunite Raspberry were introduced. And so Lambrusco — which never asked to be taken seriously — veered into the dangerous territory of becoming a parody of itself. It experienced basically the same PR story arc as Beaujolais Nouveau. Before Riunite, Lambrusco was a rustic beverage — a performer who sang a little sharp and only played the local pub circuit. At the height of the Riunite craze, it was an international phenom who sold-out arenas but whose auto-tuned voice was beginning to fatigue. But wines, unlike rock stars, do not burn out or fade away. 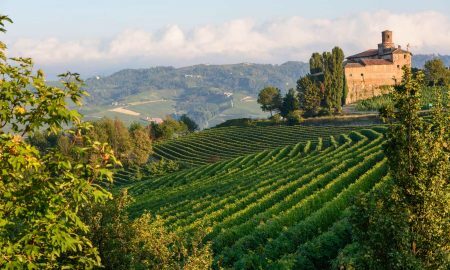 There is almost always a comeback, and in the case of Lambrusco, it began in the 1990s with producers like Medici Ermete. 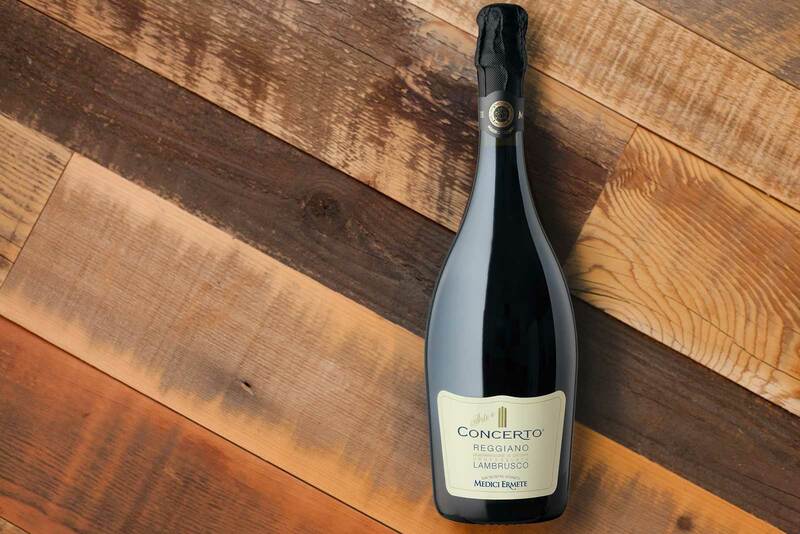 One of the first wines to redefine what Lambrusco could be was their bottling called Concerto (★★★★ 1/2), which I tasted with Alberto. Its deep, dark color and red-tinged foam is alluring on its own, and unlike most Lambrusco, its aromatic, conveying notes reminiscent of sour black cherries and a bit of anise seed. 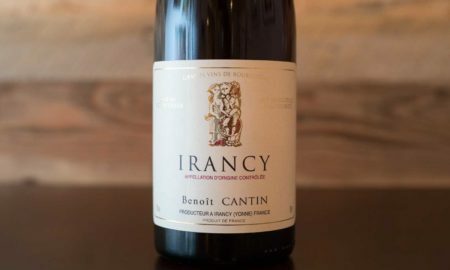 When it debuted in 1993, it quickly garnered attention as a fine wine — despite hailing from a region that unleashed Riunite Raspberry on the world just seven years earlier. Another exceptional wine from Medici Ermete is called Assolo (★★★★ 1/4). It comes in a stout bottle with a flared bottom, and includes 51% Ancellotta and 49% Lambrusco Salamino. (Technically, it is a Reggiano DOC wine, but its inclusion of the Lambrusco Salamino grape and its regional character warrant inclusion). It’s not as light on the toes as Concerto, but no less a serious sparkling red wine with a woodsy character, despite seeing no oak in fermentation. I’ve stuck to the dry Lambrusco wines, mostly out of personal preference. Two others to recommend: Cleto Chiarli Grasparossa di Castelvetro (★★★★) is a great party wine, full of grapey flavor and easy, palate-cleansing acidity; and Lini910’s Lambrusco Rosso (★★★★ 1/2), which has a rich thread of balsamic character laying over a crisp and dark prune-fruit core. The latter wine operates outside the Lambrusco appellations (it’s actually an Emilia IGP wine if you are scoring at home), but it is worth seeking out for dinner. I tried to break the wine with a spicy ramen dish one night, and ancho-chile chicken tacos with cabbage slaw the next night — it was unphased. A great food wine. 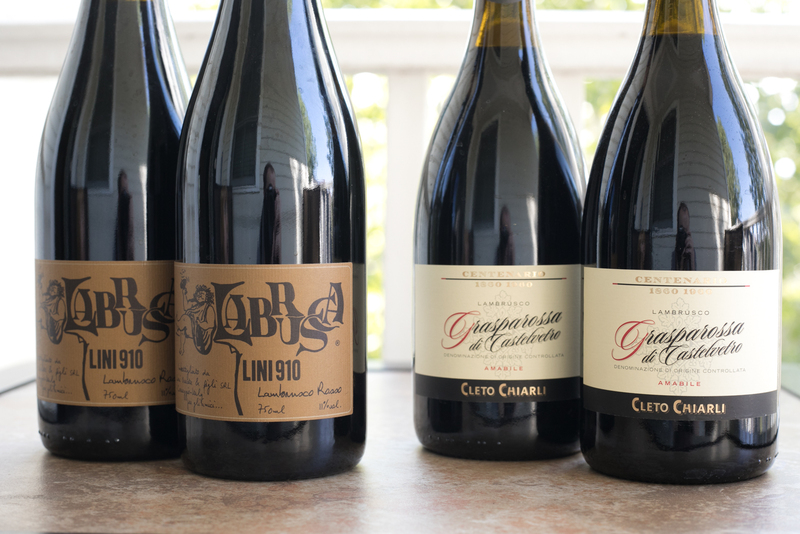 Which brings me to a final point on Lambrusco: These wines really need to be consumed with food. 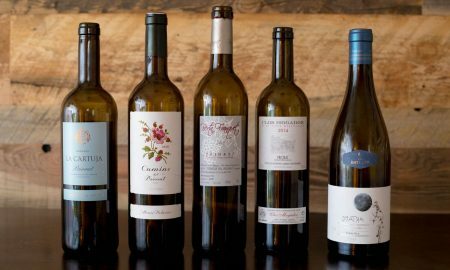 On their own, these bottles are delightful, fun and fresh, but they don’t elicit the same experience as a stand-alone glass of Champagne or even Prosecco. They conjure their magic only when you’ve got a slice of pizza, a chunk of Parmigiano-Reggiano, or an explosive bite of spice to wash down. I’d recommend always having a bottle on hand in your wine refrigerator. You never know when you might need a Lambrusco to pair with a challenging dish.